Check out the many fun, interesting and educational things to do in Maricopa this week. For details on these and other events, or to add your own, visit InMaricopa.com/Calendar. Mark Gray will perform a Gospel Concert at 11 a.m. at Faith Baptist Church along with his wife Mary. Guy Pennacchio will perform a Sinatra tribute for Valentine’s Day in The Lounge at Harrah’s Ak-Chin Casino from noon to 4 p.m.
Apperson Duo will perform for diners in The Range and The Buffet at Harrah’s Ak-Chin Casino on Valentine’s Day. A Ray of Hope meeting of Narcotics Anonymous is in the Maricopa Chamber of Commerce office at 7 p.m.
A Ray of Hope meeting of Narcotics Anonymous is in Maricopa Community Church at 7 p.m. Secrets of the mLOAN will be hosted by intern Bryce Crosbie at noon at Maricopa Center for Entrepreneurship. Coffee with Friends of the Maricopa Library starts at 1:30 p.m. at Maricopa Public Library. Meet every Tuesday for refreshments and conversation and get acquainted with the library. All ages welcome. City Council Work Session is at 6 p.m. at City Hall. Council will discuss Rotary Park and the Comet transit system. City Council Regular Session is at 7 p.m. at City Hall and includes a public hearing on a federal grant for the transit system. Copa Shorts Film Festival info session is a college wide introduction to the planned film fest of short subjects in Maricopa. Shelley Gillespie will be on Central Arizona College campus networks, including in B113 locally. A Ray of Hope meeting of Narcotics Anonymous is at 7 .m. at Ak-Chin Social Services. 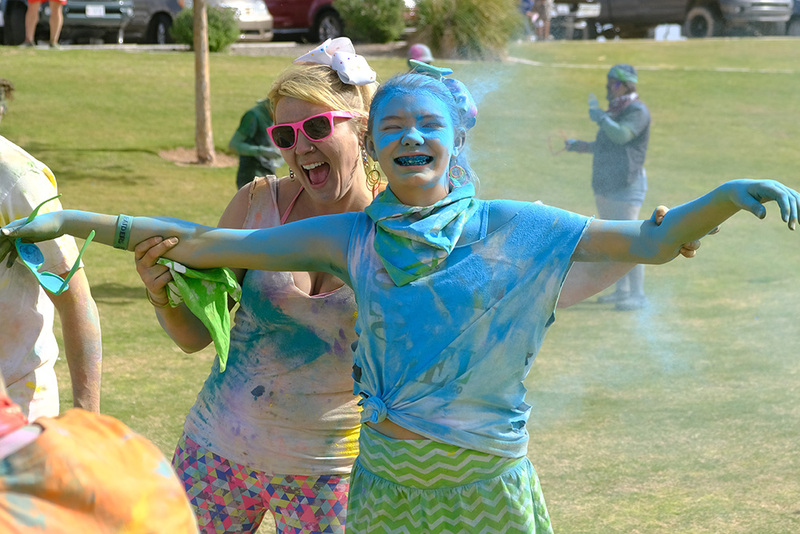 Copa Color Run & Food Truck Fun Fest is from 2 to 5 p.m. at Copper Sky Regional Park. 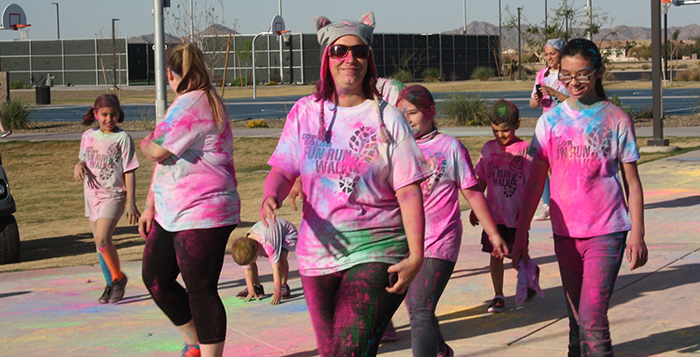 This is a 5K race/1.5 mile walk where athletes from all ages participate, making their way through several color stations where they will be covered from head to toe in a rainbow of colored powder. Between the Covers Quilt & Nostalgia Show is from 4 to 8 p.m. at Maricopa Public Library with a quilt display, quilting demonstrations and the Jan Sandwich show. Salt N Pepa perform in Harrah’s Ak-Chin Casino’s free concert series in the amphitheater at UltraStar Multi-tainment Center starting at 8 p.m.